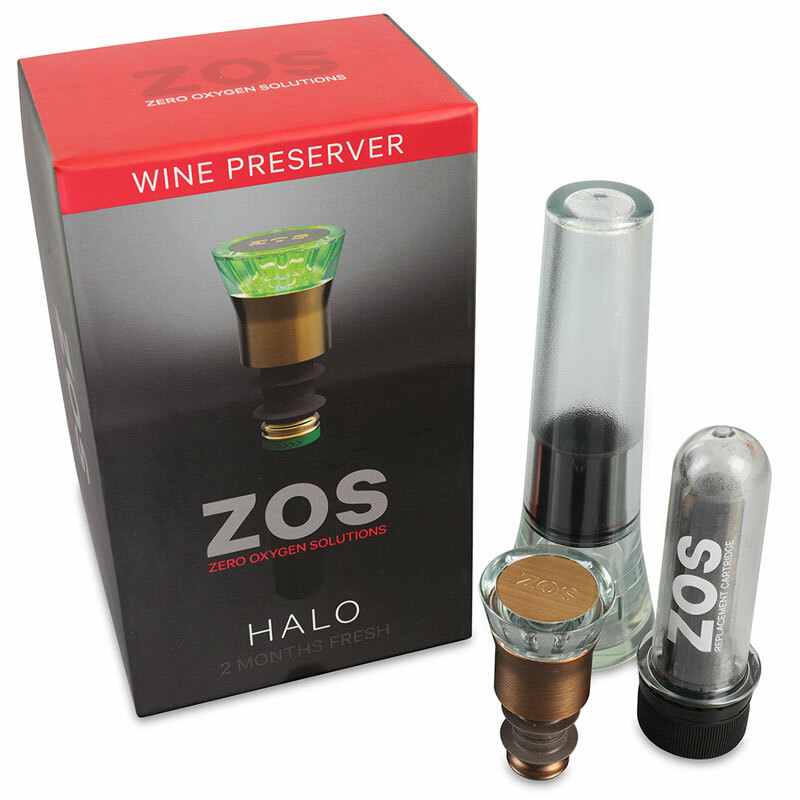 ZOS Halo is the latest wine preserver available and it’s the only wine preserver that eliminates 100% of the oxygen that spoils your wine. It works its magic on any variety of wine, red, white, rosé or sparkling, every glass will taste as fresh as if the wine has just been opened, even after two months. It even lets you reopen and reseal the bottle so you’ll have the freedom to drink as little as you like – no worries &, no waste, perfect for any occasion. 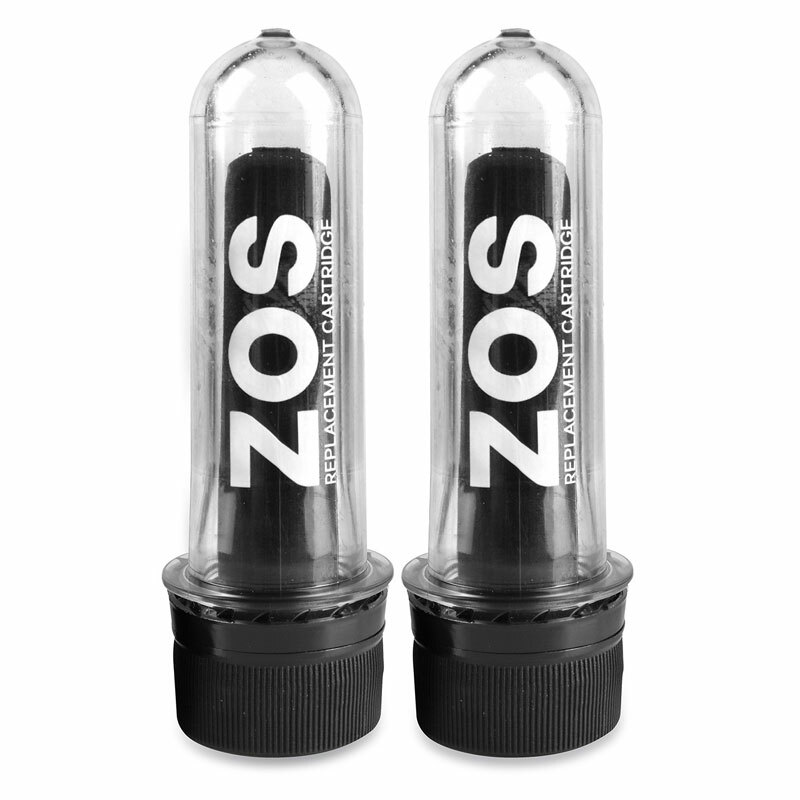 ZOS Halo fits most 750ml bottles (some larger screw cap necks and oversized bottles are not compatible), the patented, non-toxic cartridge absorbs all the oxygen and can preserve an opened bottle of wine for up to 2 months. It comes with one cartridge which can preserve up to 15 bottles, depending on usage and replacement cartridges are available. How does the ZOS HALO work? It's been designed by wine lovers from the state of California, ZOS Halo completely removes 100% of the oxygen from an opened bottle of wine, preventing the oxidisation that spoils the flavour of your wine. With even just 1% of oxygen remaining wine will oxidise so ZOS removes 100% every time! 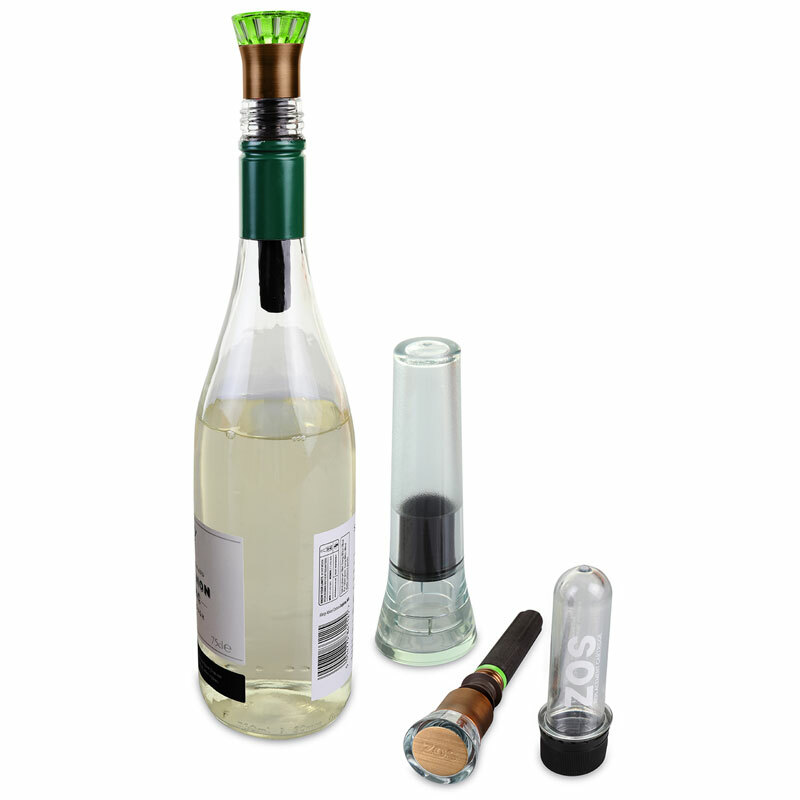 It's very simple and easy to use, there’s no need to inject gas or pump to create a vacuum like other systems, insert the unique cartridge into wine stopper and then place into the neck of your bottle and leave it standing upright until required. The unique patented ZOS cartridge is filled with a specially formulated clay compound which absorbs 100% of the oxygen in the bottle resulting in Zero oxygen – Zero waste – Zero effort. “We tested it on a delicious Italian wine for four weeks and were seriously impressed…it will appeal to wine geeks – especially those who want just a taster from an upmarket bottle but don’t want to drink the whole lot at once.” Susy Atkins – Delicious Magazine November 2017. ZOS Halo spare cartridges are also available.